The ROK Coast Guard patrols the Illegal Fisheries in South Sea with VOGO OPL 1000. 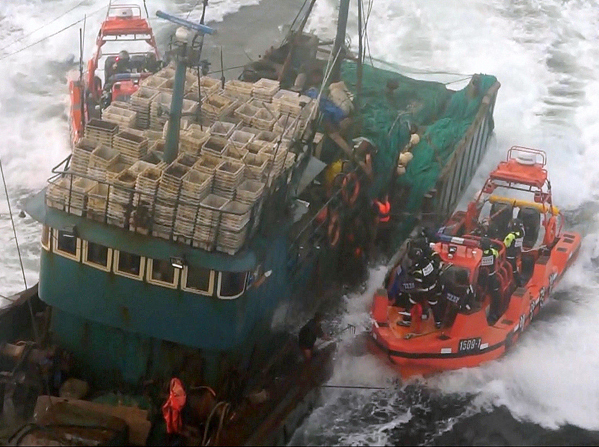 The below video shows the Illegal Fisheries in Korean EEZ. They ignore the authority and fled for 20 km. But It was captured by VOGO OPL 1000. This shows the superb seaworthiness. VOGO @ DSEI in London, U.K. It is our first time to participate in DSEI. DSEI has been a great starting point for VOGO as we are looking to expand our markets in Europe. KORMARINE 2013 Exhibition result KORMARINE 2013 @ BEXCO was a great opportunity to showcase VOGO's capabilities among naval defence related companies from over 40 countries. [NAVAL FORCES] Took note of Korea Our latest development project, SDV 1000W has been introduced by the world known German Defence Media, 'Naval Forces'.